It is true that in the past goats had been part of the production process but this has not been so for a long time. Even then they were not being exploited in any way. 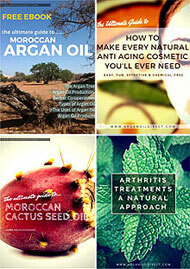 So is Argan Oil cosmetic oil production is Vegan? In the Argan forests of Morocco goats are kept as a livestock by many families. Due to the dry conditions grazing was and still is hard to find. 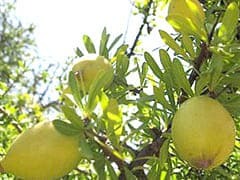 However, goats have amazing climbing abilities and like camels, that are also kept in the Argan forests, they are able to chew around the tough thorns that protect the Argan fruits and leaves. 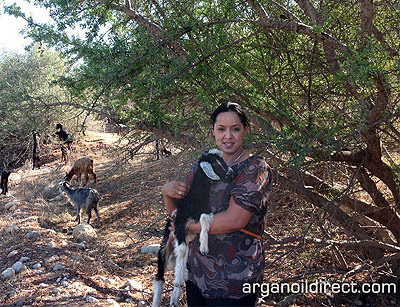 Shepherds used to, and still do despite bans, graze their goats on the leaves of the Argan tree. 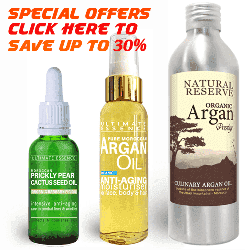 In the past the owners of the Argan trees would collect the fruits which the goats love to eat. The goats would eat the fleshy outer fruit and “pass” the super hard but kernels. These nuts would then be collected, cleaned and left to dry before cracking to extract the oil rich kernels. However, with new systems of production and the cooperative pressing plants this is no longer used in any commercial production.